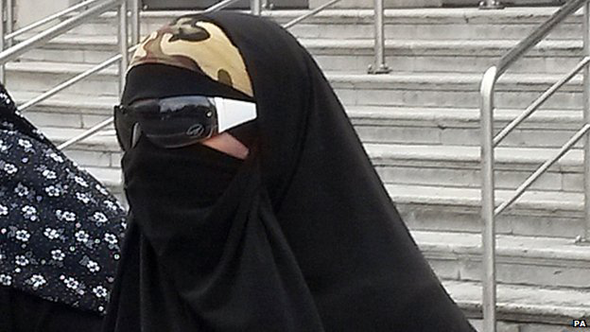 A mother-of-six has been jailed for five years and three months for promoting terrorism on Facebook. 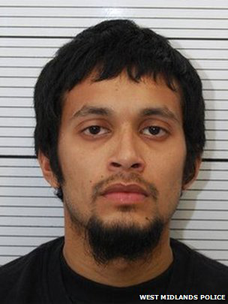 Runa Khan, from Luton, had previously admitted inciting terrorism in Syria. Khan, 35, of Maple Road West, had posted a picture of a suicide vest and unwittingly passed details of a route into the country to an undercover police officer. During sentencing, Kingston Crown Court heard police had found photos of Khan's children holding guns and swords. Judge Peter Birts QC said the "only fair interpretation" of those pictures was that Khan had intended to radicalise others. In an interview with BBC Newsnight, she said: "I was posting up my belief." In September 2013, Khan had re-posted an article entitled "Raising Mujahid Children", intended for Islamist mothers, the court heard. 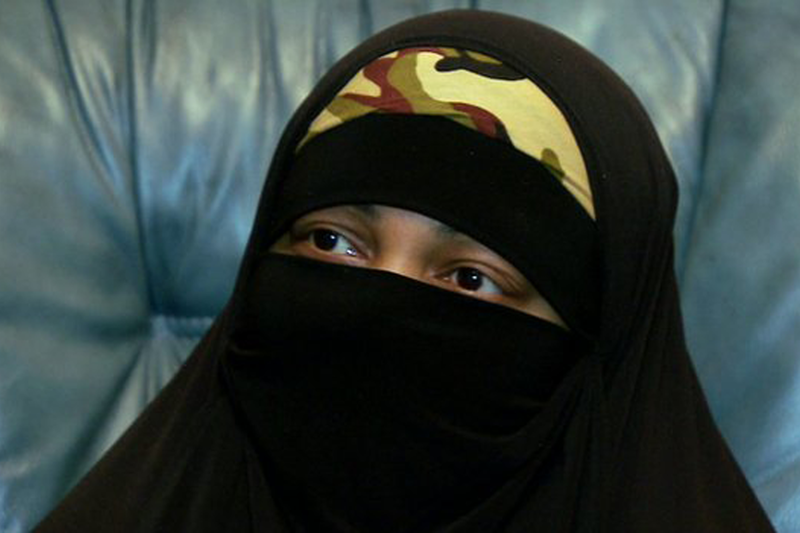 The judge said the article amounted to "a manual in encouraging women to carry out jihad". Khan had also posted a message on an extremist website, saying she wished her son would one day become a jihadi. "I pictured the future while I was zipping up his jacket, in sha Allah i'll be tying the shahada bandana round his forehead and hand him his rifle and send him out to play the big boys game," she wrote. Prosecutor Paul Jarvis said Khan held "extreme Islamist views". Her actions were uncovered when she started speaking to an undercover police officer, with whom she had a private conversation on Facebook. In that message, she sent him details of a route into Syria which had been passed to her by Mohammed Nahin Ahmed, a British man who was jailed for terrorism offences last Friday. When police raided her home in October 2013, they found images on her phone of her two-year-old son wearing a turban and holding a toy assault rifle. Other pictures showed small children in Syria holding guns, and in one case a hand grenade. Khan's barrister, Jo Sidhu QC, described his client as "inflexible" in her religious beliefs. He said she was "extremely insecure, unsophisticated, binary in her thought processes... devoid of any proper... reasonable Islamic teaching." Commander Richard Walton, head of the Metropolitan Police's counter terrorism unit, said Khan had used social media as a "tool for terrorism". "Khan used it to spread extremism, radicalise others and justify children being used for terrorism," he said. "We aim to make the internet a more hostile environment for terrorists; today's sentence supports that aim."